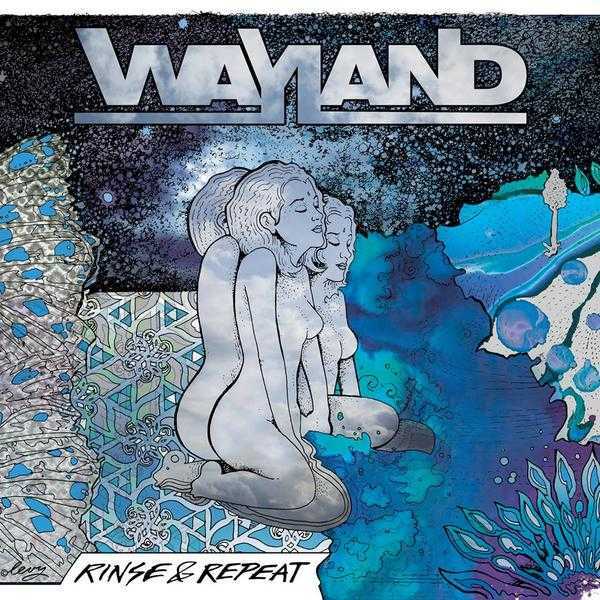 Been tracking on Wayland for a while now. Quite often you’d find me spinning (do we do that in the digital age still?) tunes such as She Lights it Up and Reason to Love from their 2010 self-titled debut release for no other reason than they’re great songs from a band that has a familiar sound from the word go but something different you can find if you take a minute to really listen. I’d buy the singles as they come out, add them to our rotation usually because they’re just a good band you can count on for good tune after good tune. 2011 saw “Welcome to my Head” and outside this, kinda quiet from Wayland, unfortunately. This month they are back, they are Octobers Icepick with their new release “Rinse and Repeat” where they pick up where they left off without missing a beat. They’re on the road now with Hinder and I’ll be checking them out 10/22 at Gas Monkey Bar and Grill and with any luck on my photo pass request, will be able to post pics of a personal favorite band of mine that I hope finally catches on and gets some of the love the truly deserve. I could easily review their first full release from 2010 and have nothing but great things to day but that was 7 years ago. You can find it easily enough on their website and I hope you do go check it out. You can also listen to almost any weekly icehouse where Wayland is common somewhere in that 3 hour segment. For Rinse and Repeat, we start off strong in Ghost where the guitar riffs set the tone and changes up nicely as the song progresses. Through the Fire is the hit that’s out and making the social rounds these days and hopefully you’ve heard it by now. If not you’ll find some good videos at the end of this icepick segment and I’ll let the videos speak for themselves. The next one that takes me back with the familiar feeling good songs carry with them, Come Back is slowly taking over as my personal favorite off this release. Of course, after saying that I get to All We Had. Being a sucker for a bit of a slower pace and good hooks in the lyrics, and of course, being able to relate with my own personal experiences, we chalk up another win. This is bound to be a repeat for most who grab this release. Shopping for a Savior starts off with some twangy guitars, lob in the voice next, add in a touch of drums and slowly pick up the beat then bring it all together and by now, you’ve turned the radio up and are jamming out in your car likely freaking out the car next to you as you shout out LORD LORD WHY DO YOU MAKE ME WORK SO HARD!? By the time you get to the next light you’ll be singing along with SHOPPING FOR A SAVIOR. Did I mention how I am a sucker for a slower song? Follow is another slow it down song that helps illustrate the range of Wayland and why the next song may have the feel of the one before it, but stands on its own.